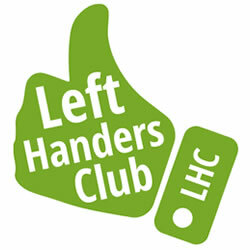 The Left-Handers Club was formed in 1990 aiming to keep members in touch with developments, make their views known to manufacturers and others, provide a help & advice line, to promote research into left-handedness and development of new left-handed items. Since its formation the Club has gone from strength to strength with members all over the world and is highly regarded as the foremost pressure group and advice centre on all aspects of left-handedness with over 140,000 members from all over the world. 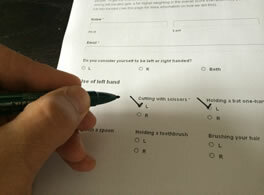 I like being left-handed! Never been a problem, except for scissors. The other 5 people in my family (all righties) could care less. It’s cool to be different! BTW, I’m 57 and NO ONE has ever forced me to use my right hand. Having grown up when times were different. As a child, I was laughed at, ridiculed, excluded from some sports and playtimes, and many attempts were made to force me to use my right hand as the dominate one. ALL attempts failed! 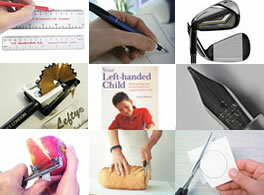 My school desk, scissors, doors, pencil sharpeners, can openers, car doors, all were backwards to me. Some older adults told me I owed something to the devil and he would come to collect one day. I NEVER thought THAT was funny. It scared me and it hurt my feelings. I tried to force myself to use my right hand and fit in. Some things I can do right-handed now. I have a son who is a lefty and who was taught that its ok! Its great to see positive outlets for lefties now. I’m VERY INTERESTED in seeing what is out here for us too! I’m also “tickled” to find that in being a female lefty, I’m considered POSITIVE specialty, rarity, and a novelty! Thank you!